Inter took a big step towards being named FIFA Club World Cup Champions with a comfortable 3-0 win over Asian champions Seongnam Ilhwa. Dejan Stankovic and skipper Javier Zanetti’s first-half goals set Inter on their way before Diego Milito sealed the result in the 73rd minute. Inter will now meet TP Mazembe in Saturday’s final after the DR Congo side became the first African team to reach the title decider following their 1-0 win over Internacional yesterday. Inter got on the scoreboard early (3 minutes) when Stankovic ran onto a loose ball and fired a low shot across Jung Sung-ryong from just inside the area. As Stankovic was scoring, Wesley Sneijder was being replaced as he picked up an injury in the first minute of the game. 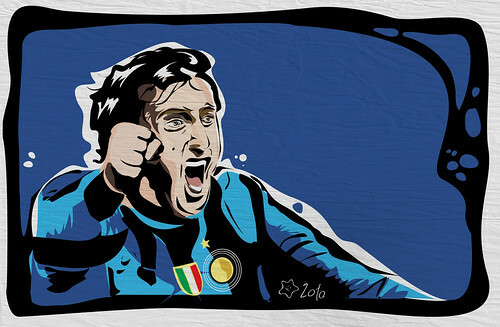 Inter went further ahead just after the half-hour following a neat one-two between Zanetti and Milito. Zanetti slid a low pass into the area for Milito who back-heeled the ball back into the path of his fellow Argentinian, who had continued his run, to thrash another low shot across the goalkeeper. The South Koreans threatened a reply only on occasion, with Mauricio Molina twice shooting wide, before Milito ended the contest when he poked home after Samuel Eto’o had seen a shot saved.